Raw on March 11, 2019, was extremely eventful and gave a push to some already flowing storylines while establishing new ones. This week’s show could prove to be even more vital and power packed on the Road to WrestleMania, as WWE has already announced a lot of matches and segments for the night. 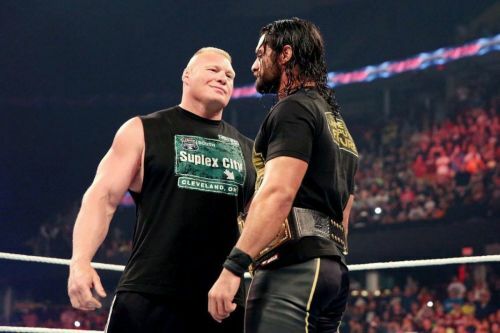 One major thing to look out for is the umpteenth return of the Universal Champion, Brock Lesnar, on Raw. This will have an impact on Seth Rollins who will also be facing Drew McIntyre on the same night. Along with that, there are a handful of announcements in store for the night, but none are bigger than Kurt Angle’s, who will be revealing his WrestleMania opponent. While Raw will have a lot of things to look out for tonight, let’s take a look at 5 things which we must focus on during the night. WWE Fastlane witnessed a match between the teams of Sasha Banks and Bayley, and Nia Jax and Tamina for the Women’s Tag Team Championships. When the challengers were humiliated, they decided to put their hands on WWE Hall of Famer, Beth Phoenix, who was at the announce table. Things didn’t look too pretty, and fans were ready to accept Pheonix’s return to the ring. Beth Phoenix retaliated on Raw after Fastlane and took the fight back to Jax and Tamina alongside her former tag team partner and longtime friend, Natalya. On the Road to WrestleMania, anything can happen in the WWE, and one of the things that might be cooking up is Beth Phoenix’s return to the ring for the big event. WWE has been trying hard to establish the women’s division and make it parallel to the men’s division, and Phoenix’s return to the ring for even one night for a “Divas of Doom” reunion could help them continue the build up. So the question remains, will Beth Phoenix walk out and issue a challenge to Nia Jax and Tamina for WrestleMania 35 on Raw this week?